Variety reports that Octavia Spencer and Taraji P. Henson have been cast in the upcoming Fox 2000 feature Hidden Figures, an adaptation of Margot Lee Shetterly’s upcoming nonfiction book, Hidden Figures: The Story Of The African-American Women Who Helped Win The Space Race. Ted Melfi (St. Vincent) is attached to direct and produce, while Allison Schroeder (Mean Girls 2, which we won’t hold against her) penned the screenplay. Henson is set to play Katherine Johnson, a mathematics genius and celestial navigation expert who worked with colleagues Dorothy Vaughn and Mary Jackson to pull off the NASA launch of astronaut John Glenn into orbit around Earth in 1962 as part of the Friendship 7 space mission. Spencer will play one of the other mathematicians who were crucial to the launch, as well as Glenn’s safe return. Glenn was the first American to orbit Earth, but he couldn’t have done it without these boss women. There’s math! There’s drama! It will hopefully be more exciting than The Imitation Game! 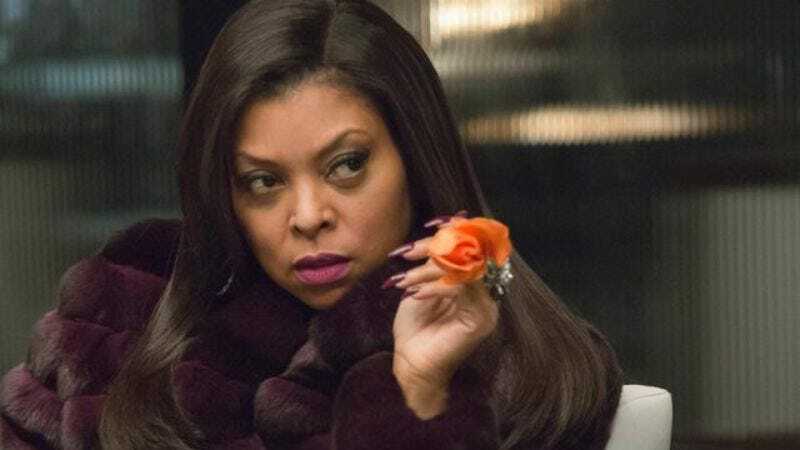 Henson currently stars as celestial goddess Cookie Lyon on Fox’s Empire, for which she won a Golden Globe earlier this year, becoming the third black woman ever to win the award. This summer, she was cast in the upcoming civil rights drama being co-produced by Empire’s Danny Strong, The Best Of Enemies. Spencer is set to reprise her role as Amity leader Johanna in the upcoming third installment of the Divergent series, Allegiant. She will also literally play God in The Shack, due out in November. Spencer won a Golden Globe, SAG Award, Critics’ Choice Award, BAFTA Award, and Academy Award for her role in The Help, but she should have won all the awards for her performance as Harriet Tubman on Drunk History. Fox has scheduled Hidden Figures to release on January 13, 2017, coinciding with next year’s Martin Luther King holiday weekend.